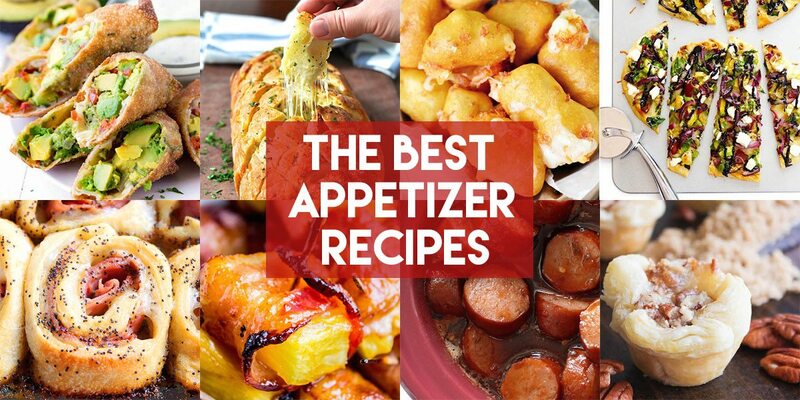 These appetizers really are the best appetizer recipes you can find! They are sure to be a hit for holiday parties, birthday parties, or just hosting an event. Half the fun of going to a party or out to eat is the appetizers, right? This roundup of the best appetizer recipes are some of my very favorites or what look like they could easily become a favorite. I used to wonder why people would eat food right before eating more food, all in the name of keeping yourself from being hungry at the moment. It is kind of the ultimate instant gratification ordeal. Even though it’s still kind of silly when you think that deeply about it, I now believe that appetizers help to make the world go round. But seriously. I love them and sometimes order just appetizers for dinner at restaurants. They are the ultimate comfort food, in my book! Have an array of safe foods that even picky people will like – veggie tray, fruit tray, crackers with meat, chips and dip, etc. Pick appetizers that are both salty and sweet. The majority of people love a good salt and sweet combo! Make them bite-sized. This way people can pick a variety and not get full off of just a few. I hope you find a few favorites as you are browsing some of the best appetizer recipes and hopefully a few of them will make it to your holiday parties this year! 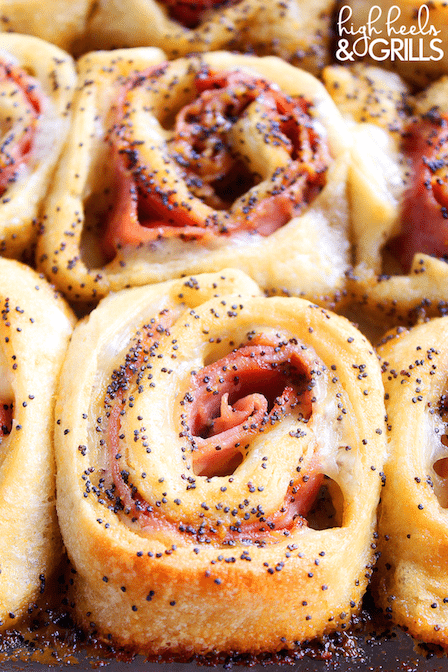 Baked Ham And Cheese Rollups – If you think these babies look good, try actually eating them! They are the bomb. 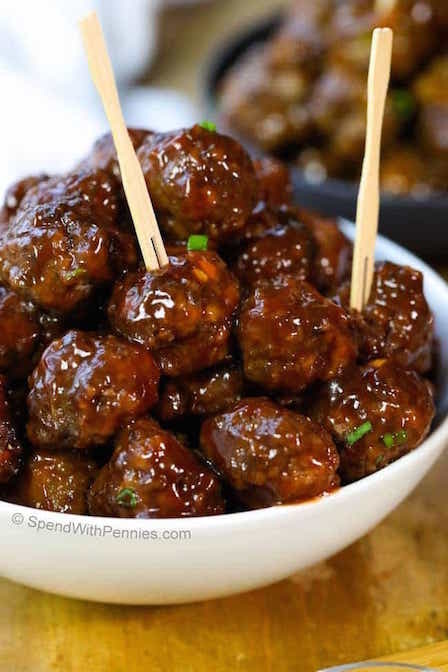 Sweet and Sour Cocktail Meatballs – If you go to a party and there aren’t cocktail meatballs, is it really a party? 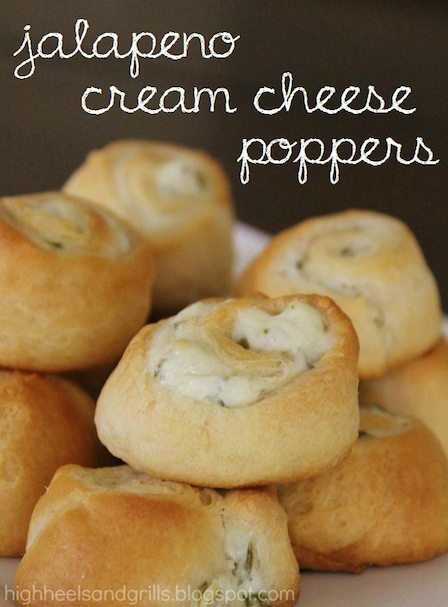 These are a classic appetizer, but always a winner! 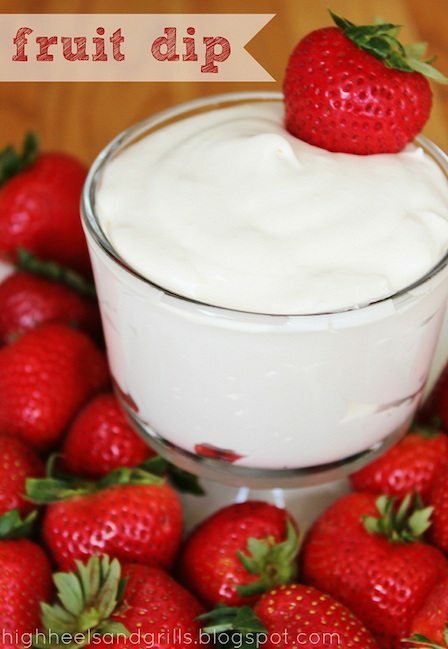 Fruit Dip – If you put out a fruit tray, this dip needs to be with it. It pairs so well with any kind of fruit and I don’t know a person that doesn’t love it. 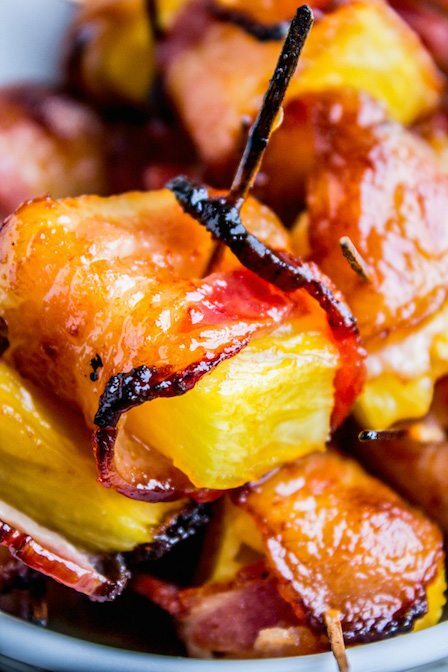 Glazed Bacon Wrapped Pineapple – I love me a sweet and salty appetizer. This looks like a winner! 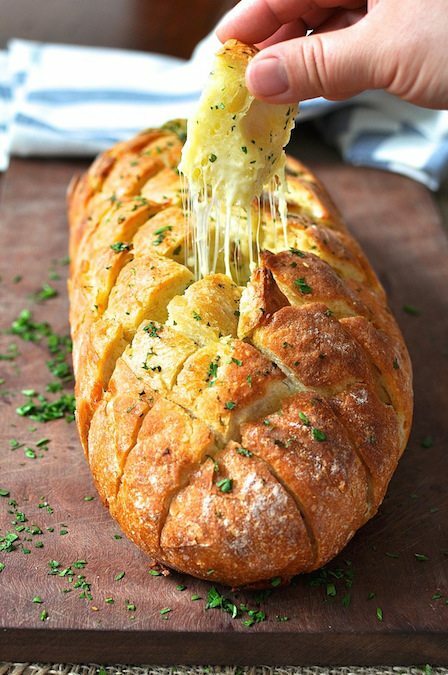 Cheese and Garlic Crack Bread – I can only imagine why this is called Crack Bread. Just looking at it makes me hungry! 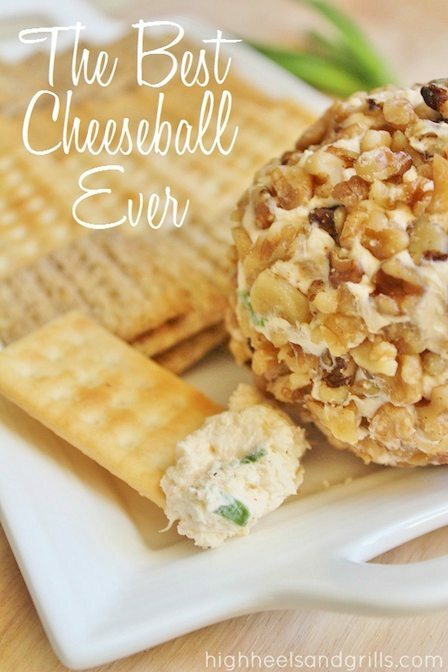 The Best Cheeseball Ever – That’s not an exaggeration. This was my neighbor’s recipe growing up and it was the most looked forward to neighbor gift every year! Seriously so good. 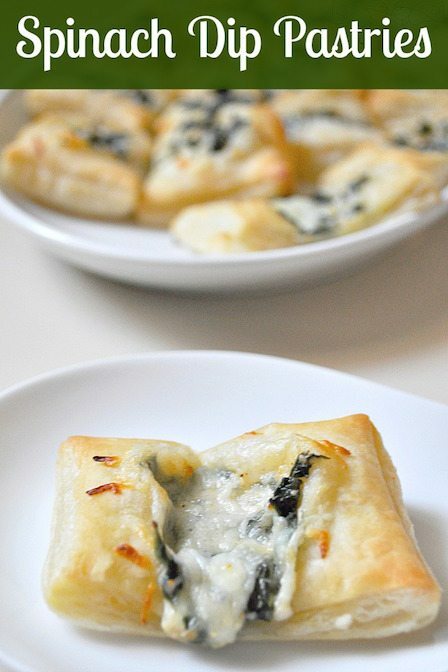 Spinach Dip Pastries – Imagine a spinach dip that you don’t have to worry about double dipping. These will become your new best friend! 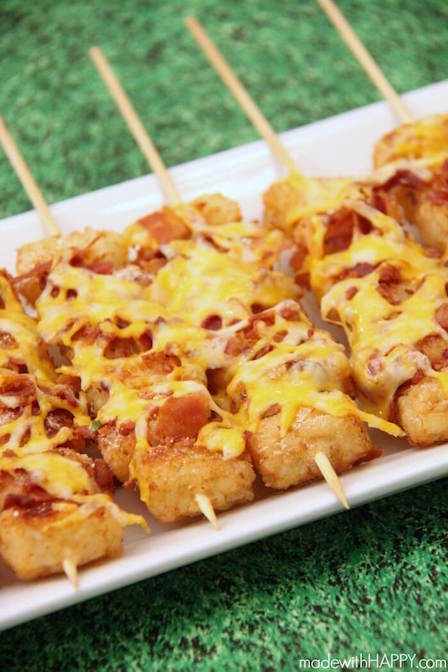 Loaded Tater Tot Skewers – These really are the epitome of comfort food. I could eat all of them! 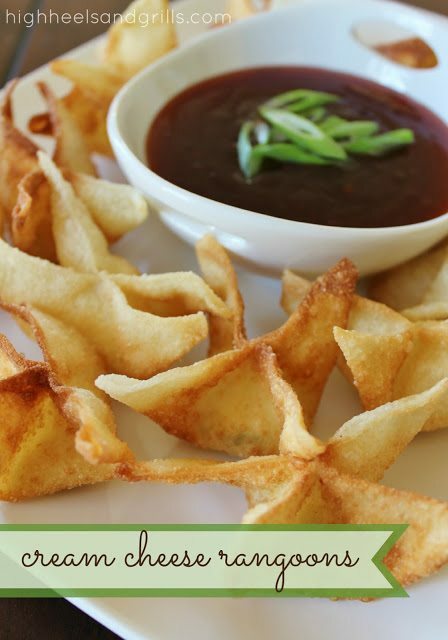 Cream Cheese Rangoons – These are surprisingly easier to make than you would think. They taste better than the ones at that Panda store, too! 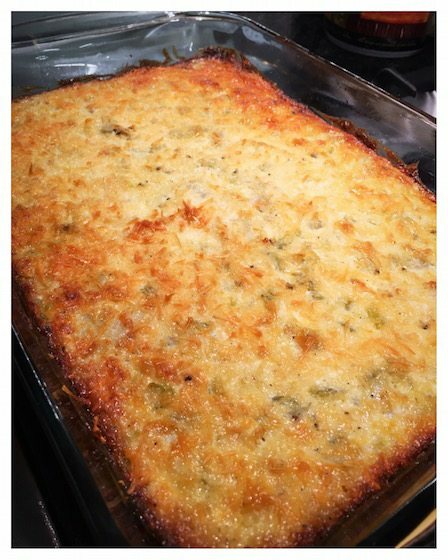 Green Chile Artichoke Dip – I have eaten this stuff personally and guys, it is the best artichoke dip on this entire planet. Get some chewy baguette slices to go with it and you will go into a food coma because of its deliciousness. 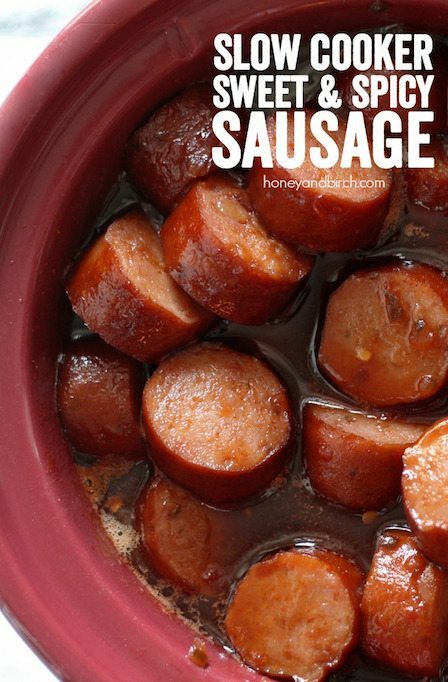 Slow Cooker Sweet and Spicy Sausage – I could eat a whole bowl full of these! 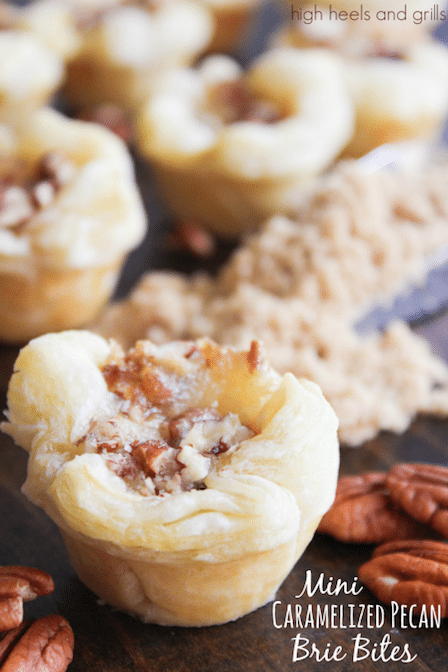 Mini Caramelized Pecan Brie Bites – Brie is my favorite of the fancy cheeses. Pair it with something sweet like caramel and nutty like pecans, then stuff it into some puff pastry and you will totally win me over. 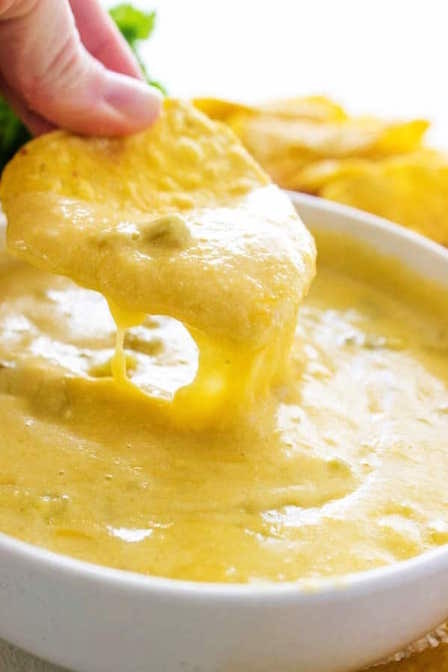 Slow Cooker Green Chile Queso – Queso has won my heart recently as one of my favorite appetizers at restaurants. Seriously, is there anything more satisfying?! This version looks so good. 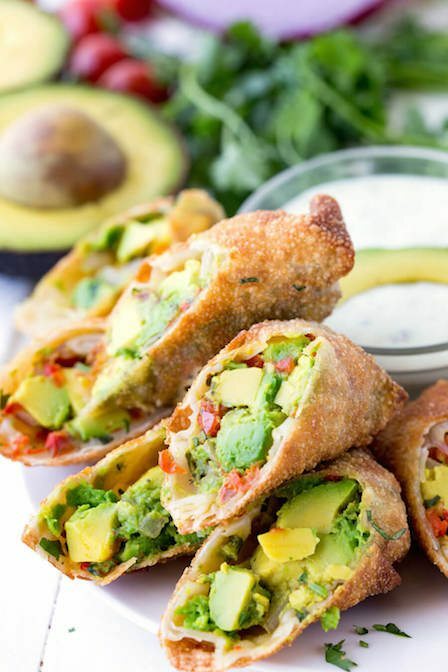 Avocado Egg Rolls – Be still my egg-roll-loving heart. Do these not look perfect?! They are so perfectly cooked, I can almost taste them. 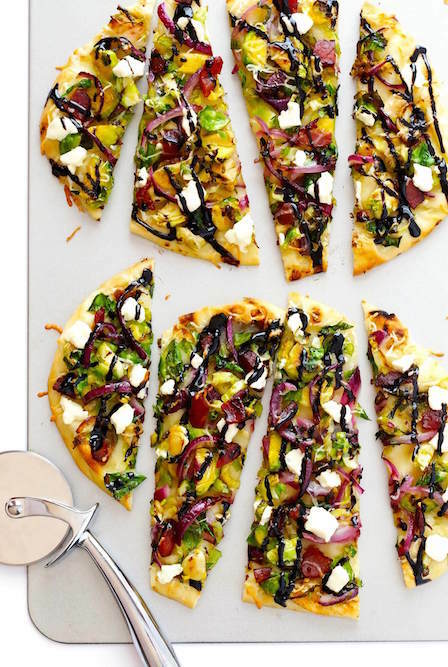 Brussels Sprouts and Bacon Flatbread – The Brussels sprouts make this totally healthy, right? Flatbread appetizers are always a winner. Jalapeno Cream Cheese Poppers – If you love jalapeno poppers, you’re going to love them even more when they are wrapped in crescent dough. Seriously, so good. 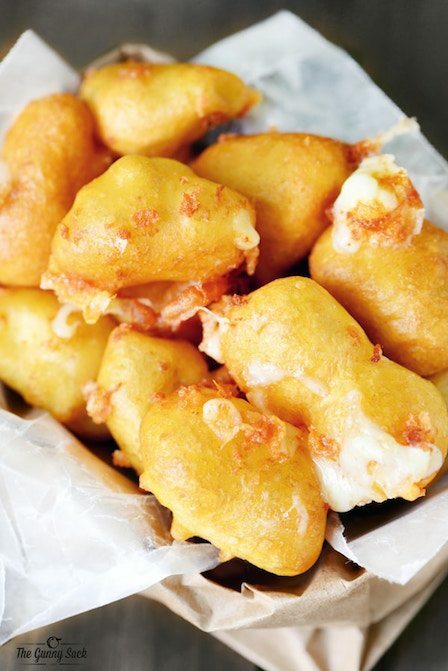 Fried Cheese Curds – If a restaurant has fried cheese curds on their menu, you better believe I am ordering them. I judge restaurants over how good their cheese curds are. These make-at-home ones look awesome! I can’t wait to make some of your appetizers. They looked delicious!!!! Thank you for sharing.